procurement remains the single most important activity of the State. He said, recently, that it consumes the greatest portion of public expenditure, estimated at approximately 70% of the National Budget. Goolsarran said that with the Government’s budget of $250 billion for 2017, this works out to $175 billion. As such, he contended that there must be strict and elaborate rules to ensure competitiveness, transparency, proper accountability and good value for money, supported by strong and effective oversight arrangements. He said that various estimates, ranging from 15% to 20%, or from $26.25 billion to $35 billion using 2017 budget figures, have been proffered about the extent of leakages in Guyana’s procurement systems. The Chartered Accountant then identified 11 major weaknesses or loopholes of the procurement system and posited that these are yet to be addressed and have essentially resulted in millions of dollars in leakages. The areas which have plagued the procurement system for the last 22 years include inadequate or wrong specifications of goods and services and the execution of works; poor selection of suppliers and contractors because of faulty tender evaluation and lack of expertise in doing so; faulty Engineer’s Estimates used as the main reference point for tender evaluation; leaking Engineer’s Estimates and other confidential information to favoured suppliers and contractors. Goolsarran said that other weak areas which require urgent attention include collusion with suppliers and contractors to inflate contract prices, resulting in possible ‘kickbacks’; targeting major infrastructure works where the quantum of such ‘kickbacks’ is large; inadequate monitoring and supervision, resulting in defective work being performed; non-adherence to the requirements to submit valid bonds/guarantees for mobilization advances and to ensure satisfactory performance. of goods/services and the execution of contracts; failure to withhold a percentage of final payment until the defects liability period is over; and the short-delivery of goods and services, resulting in overpayment to suppliers to be other damning areas through which the state has lost billions of dollars. Financial analysts have long lauded Guyana’s procurement rules and regulations as being one of the finest. But even with one of the best set of laws in place, the reports of the nation’s Auditor General paint a picture of chronic abuse which spans over 18 years. Goolsarran, who served as Auditor General from 1992 to 2004, gave some insight into what took place during his tenure. He stated that during his time, the governing document in relation to procurement was the tender board regulations. He said that while this did not have the force of the law, all ministries and departments were required to adhere to it. The former Auditor General noted that one of the biggest problems during that 1992 to 2004 period was “contract splitting”. The Auditor General also noted that over 20 years ago, overpayments were a huge issue. But the problem continues to plague the system to this day. Goolsarran had said that at least some $28 billion, or US$140M, is lost annually due to the weaknesses in the procurement system. His estimation was garnered from an overview of the Auditor General’s reports on the country’s accounts over the past few years. Goolsarran had said, too, that there are certain parts of the Procurement Act which have not been adhered to since the Act came into effect on January 1, 2004. These include ensuring the criteria used for selection are such that they do not discriminate against particular contractors and suppliers and the award of contracts based on the lowest evaluated bid as opposed to the lowest bid. Failing to look at these, he opined, has also proven to be very costly to the country. Indeed, the reports of Auditor General, Deodat Sharma, have year after year, exposed some of the most revolting cases of procurement breaches. It was also found by forensic auditors that the plague of poor procurement practices was deeply entrenched in almost every state agency. 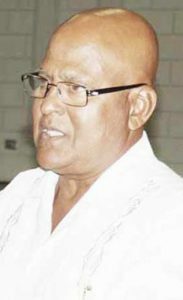 In his latest report, Sharma noted that overpayments amounting to $35.700M were made on measured works on 31 contracts administered by Ministries, Departments and Regions in 2015, which included amounts totaling $19.934M that were overpaid for works on the Synthetic Track Leonora, construction of the Kitchen Mess Hall Building at Air Corps, Timehri, land filling and concrete works at Student Dorms, Liliendaal and upgrading of the Aishalton Secondary Male and Female Dorms in Region Nine. He said that recoveries through repayments amounted to $30.517M of the sum of $407.512M overpaid on contracts that were awarded prior to 2015. Sharma said that this resulted in total overpayments amounting to $376.995M still to be recovered at the end of 2015. Whilst some entities had made progress in recovering overpayments, Sharma said that others faced serious challenges. ”As stated in my 2014 Report, this continued trend, coupled with no evidence to suggest that disciplinary action of any kind had been meted out to engineering or other staff involved in the assessment of works in progress and the certification of progress payments is of concern, and hints at management’s perceived inaction/inability to remedy the current situation,” Sharma said. Also citing instances of procurement fraud and malpractices were various forensic audit reports which were commissioned by the new administration. 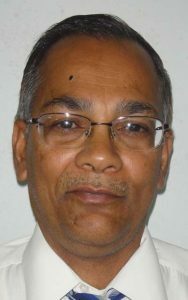 It did not take much for forensic auditors to realize that the Guyana Office for Investment (GO-Invest) cared not for the use of the Procurement Act of 2003. Under the guidance of its former CEO, Keith Burrowes, the entity had its own style in conducting procurement-related transactions. It was a style, however, that was everything but transparent. This was documented in a forensic audit report that was conducted by Nigel Hinds Financial Services (NHFS). Going forward, the auditors stressed that advances taken to procure materials for the entity should be timely and properly cleared. The forensic auditors said that only in exceptional circumstances should honour certificates be entertained. They also said that there needs to be a clearly defined policy to manage outstanding procurement advances, especially to officers who are requesting additional procurement advances.